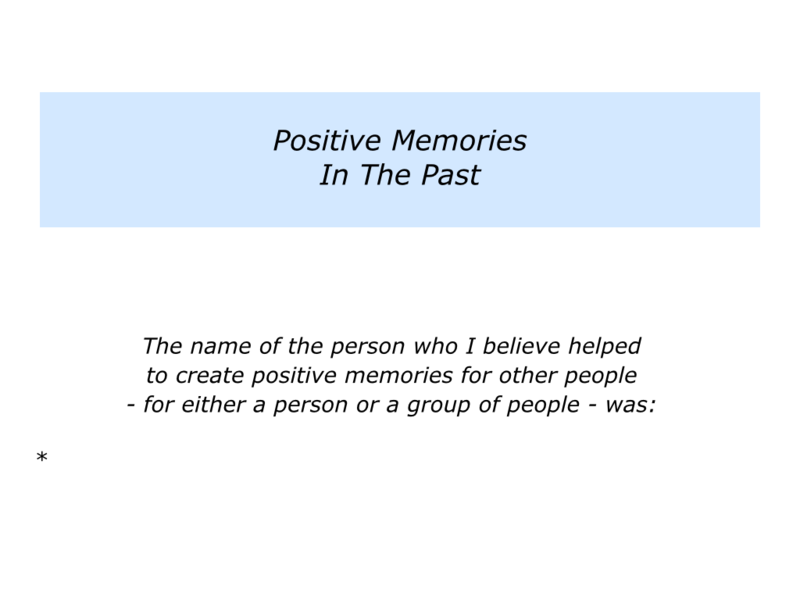 Looking back, can you recall a person who created positive memories? They may have done this for their loved ones, friends, students, colleagues or the wider community. They may also have felt good themselves when helping others. What did they do to create such memories? They may have encouraged a person, created a stimulating environment, passed on knowledge that helped people to grow or whatever. What was the result of them creating the memory? Describe a person who you feel helped to create positive memories for others. 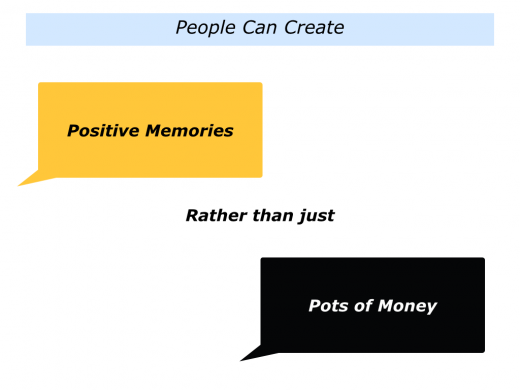 Describe the specific things they did to help to create the positive memories. 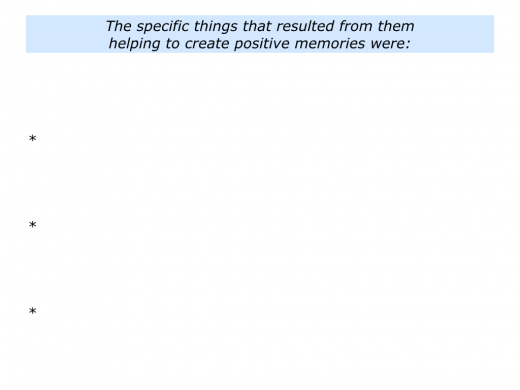 Describe the specific things that resulted from them helping to create the positive memories. 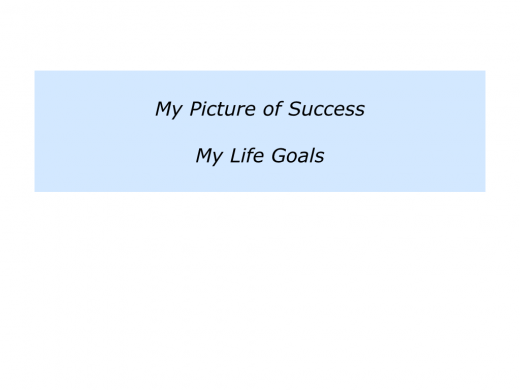 Everybody is different and everybody has a different picture of success. Certain common themes emerge, however, when you ask people about their life goals. 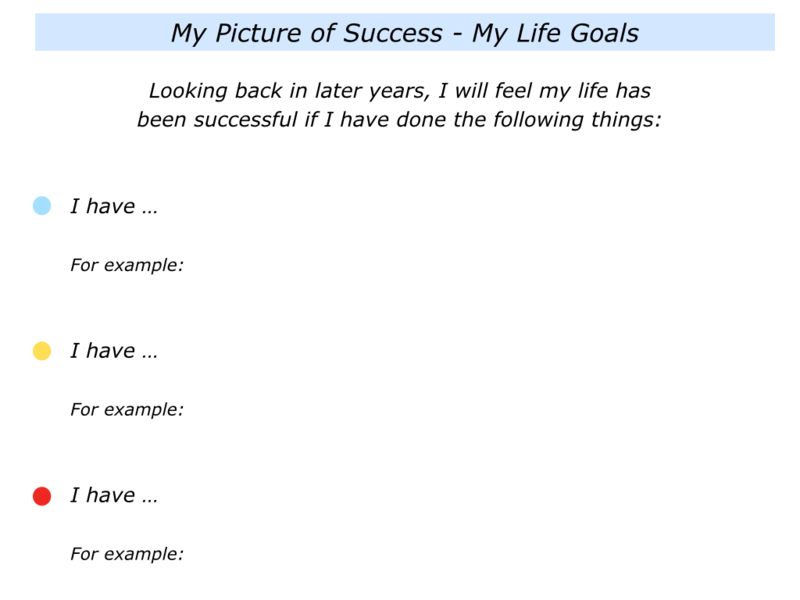 These are highlighted when individuals do the following exercise. 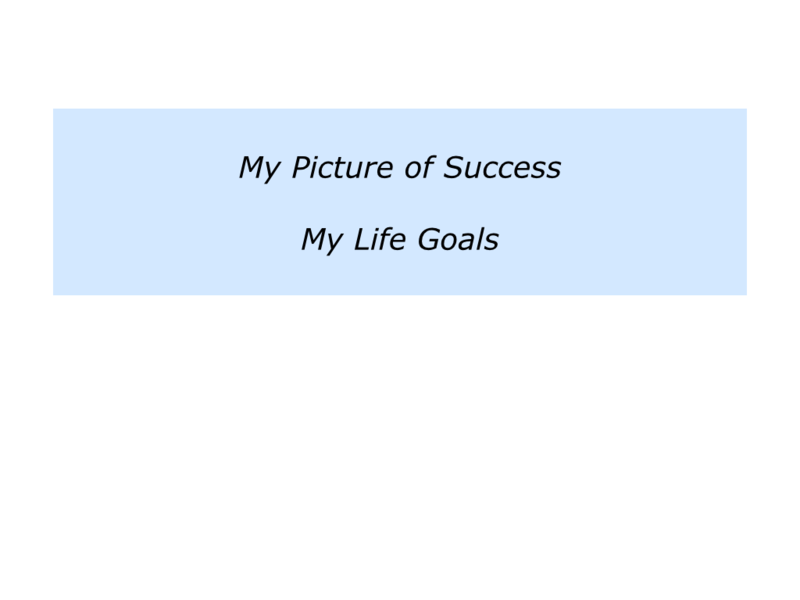 People who do this exercise often talk about wanting to have enough money to live. When exploring this further, they explain that this will give them the chance to do the things that are important in life. Money puts food on the table and also provides opportunities. It does not, however, provide everything that people want in life. Young people, for example, appreciate that their parents work hard to provide economic support. At the same time, however, they treasure the times when their parents provide emotional support. This does not mean that money cannot contribute to happiness. Here is Michael Norton’s TED talk on how money can bring contentment, providing you use it to help others. Taking this route is more likely to produce long term, rather than just short term, happiness. Let’s return to your own life and work. Looking ahead, how can you continue to create positive memories for people? You may want to do specific things to encourage people, create beauty, pass on knowledge, provide adventures for people or whatever. 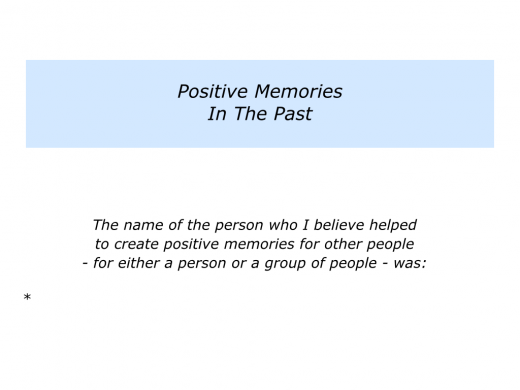 Describe the person or the group of people who you would like to help to create positive memories for in the future. 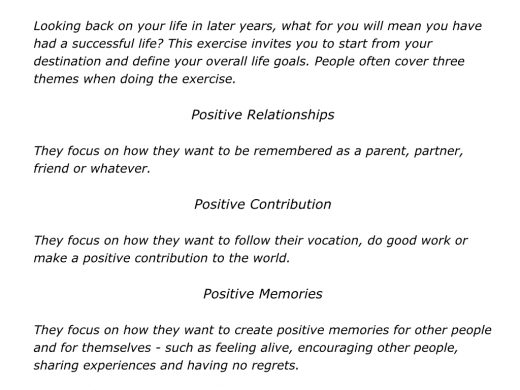 Describe the specific things you can do to help to create positive memories for them. 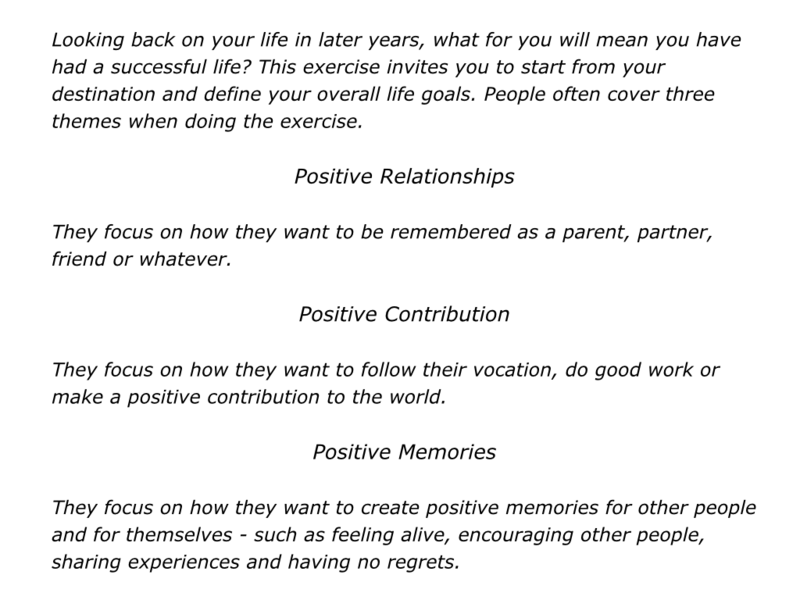 Describe the specific things that may result from you helping to create positive memories for them.